It is unlawful to abandon a car in New Jersey. The law applies to abandonment on private property, as well as on New Jersey public roads and highways. The statute that relates to abandonment is N.J.S. 39:4-56.5. 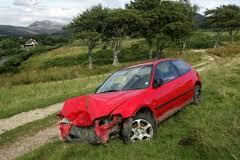 It may be difficult sometimes to determine when a car has, in the legal sense, been abandoned. New Jersey law creates a presumption, however, to deal with that ambiguity. Under this presumption, a car that has remained on or along any street, road, highway or other public property, or on private property without consent, for more than forty-eight hours is presumed to have been abandoned. And a car left in those areas for any period without current license plates is presumed to be an abandoned car. What we have been discussing here is cars. However, N.J.S. 39:4-56.5 does not limit itself to cars. The statute applies to “motor vehicles.” Therefore all that we have mentioned here applies equally to trucks, buses, SUVs, motor scooters, and motorcycles. On a first offense, the penalty for violating this statute is a fine. The minimum amount of the fine is $100.00. It can be up to $500.00. In addition, the New Jersey Motor Vehicle Commission can revoke the person's driver's license for up to two years. On a second or subsequent violation, the range of fines is from $500.00 to $1,000.00. And the period of driver's license suspension increases to up to five years. Presumptions can often be overcome. In lawyer talk, presumptions can be “rebutted.” Persons charged with abandoning a car or other vehicle are strongly advised to seek assistance from a qualified New Jersey lawyer. New Jersey traffic ticket lawyers are familiar with presumptions, and ways to rebut them. Norman Epting, Jr. and Allan Marain are New Jersey traffic ticket lawyers who have successfully represented clients subject to presumptions such as these. Page last updated 20 August 2017, and displayed Thursday 18 April 2019, at 06:18:52 EDT.